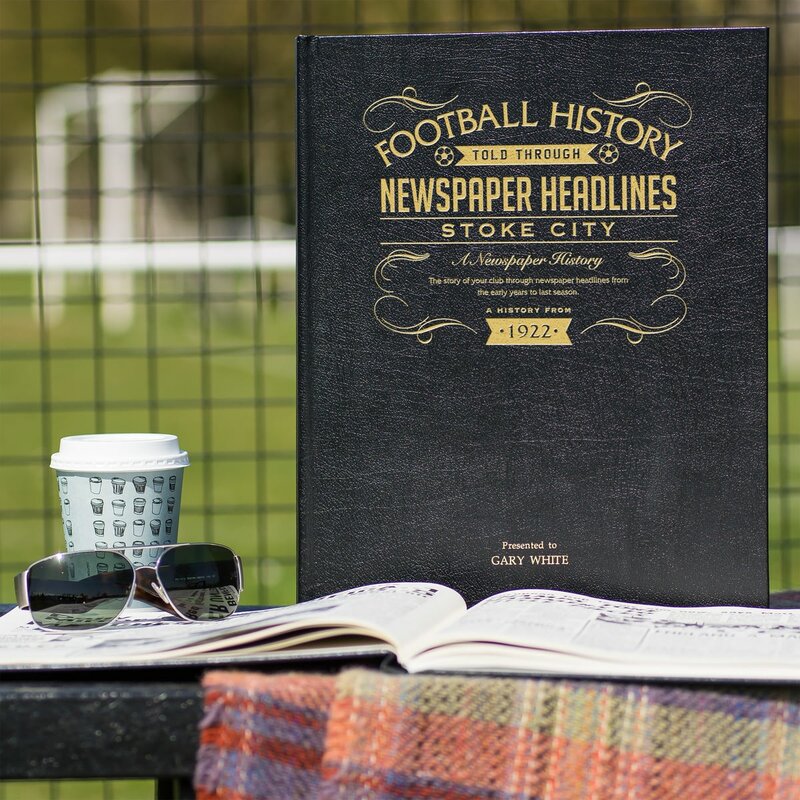 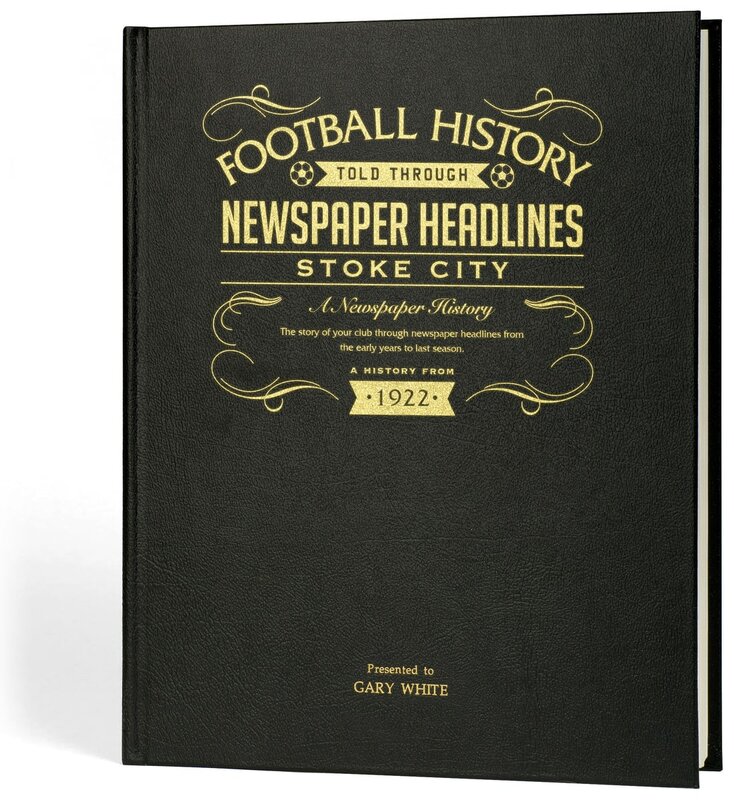 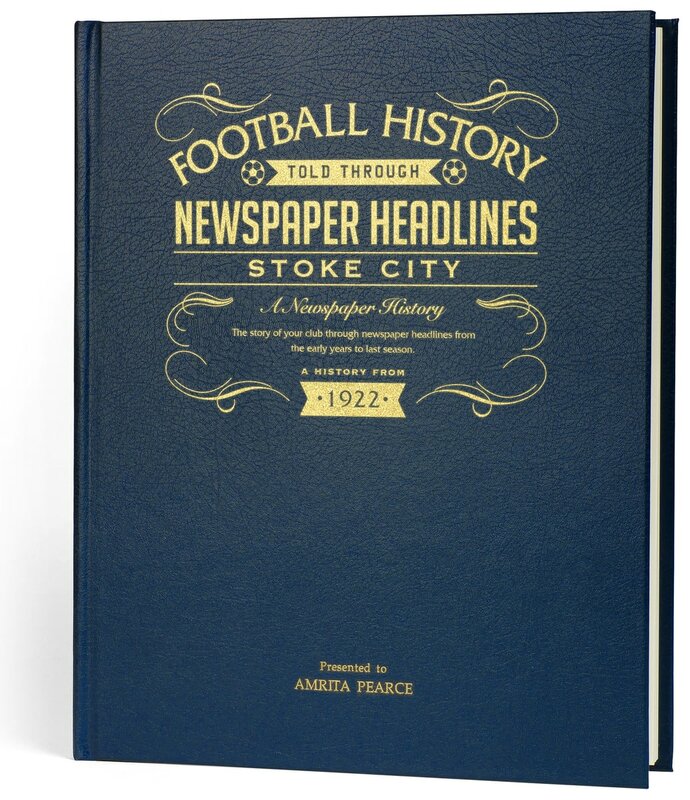 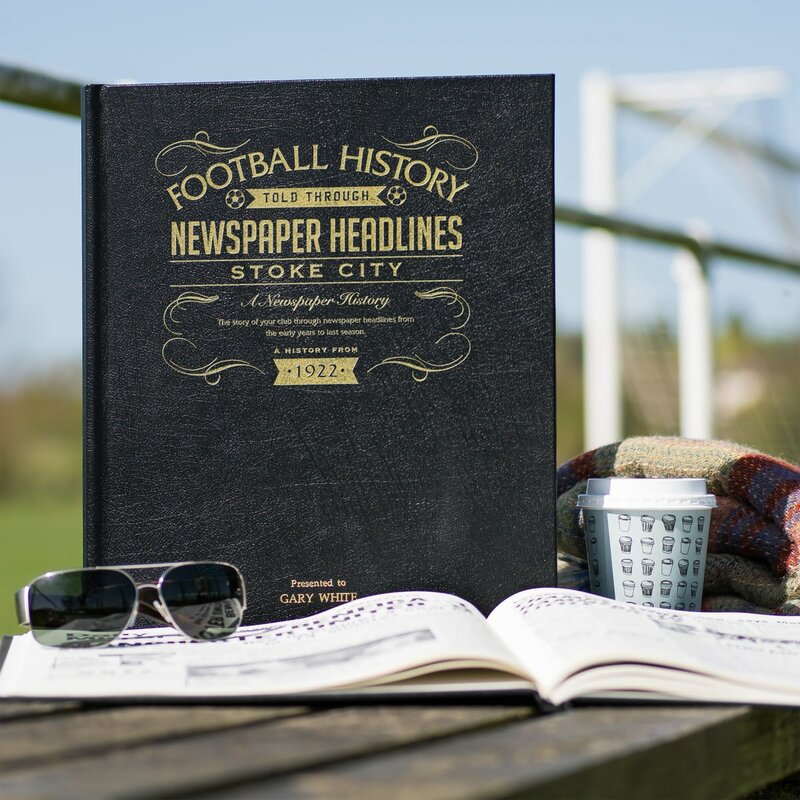 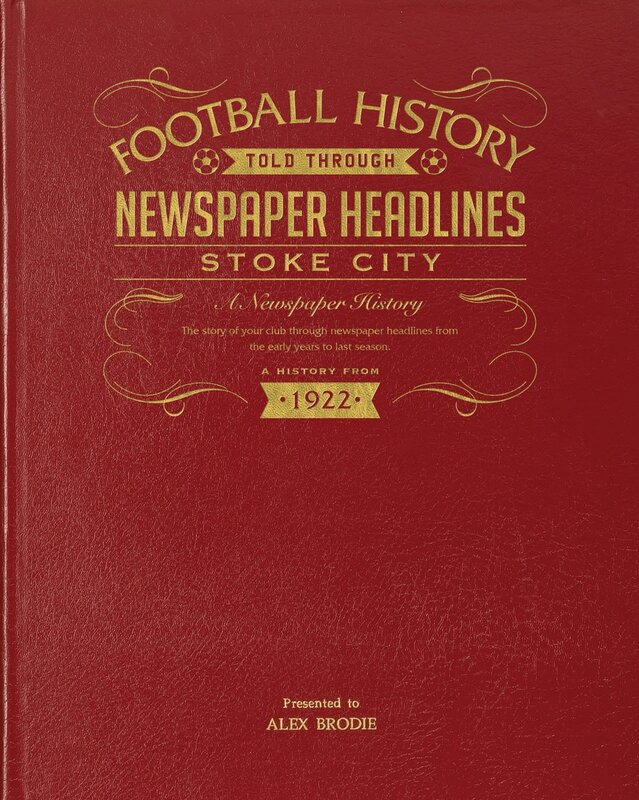 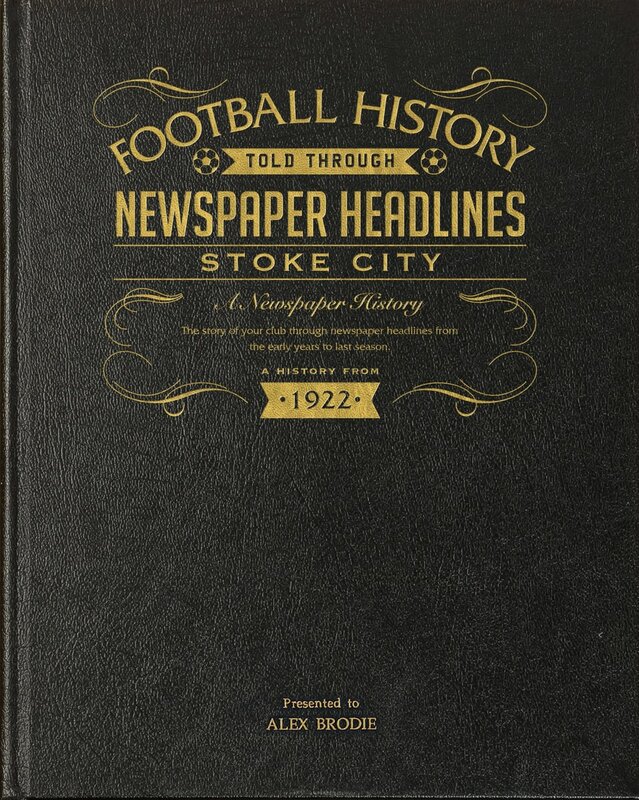 Capture the history and greatest moments of Stoke City football club through newspapers written at the time. 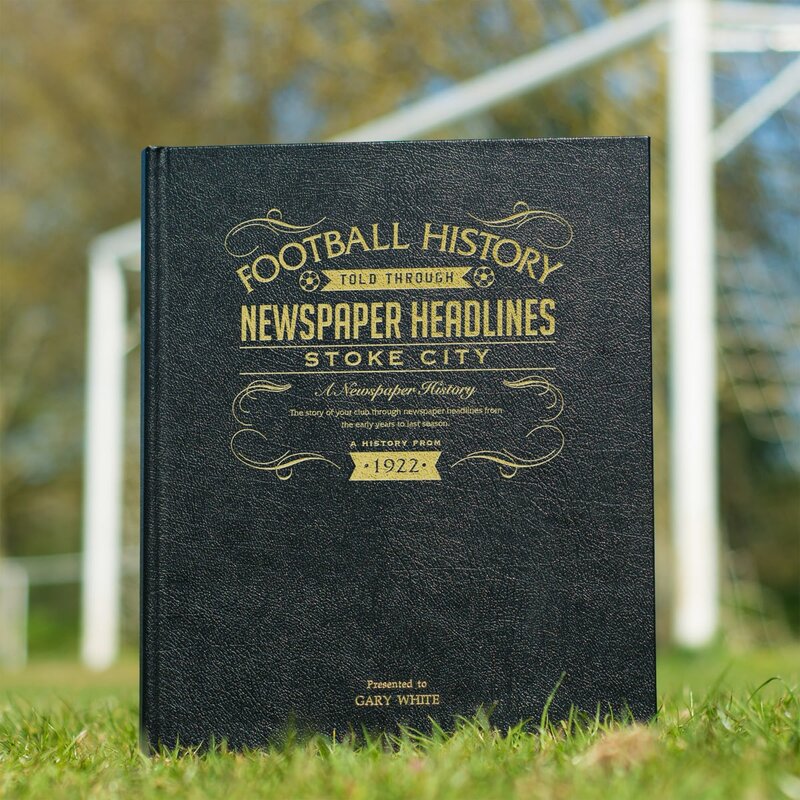 Starting in 1906, this book charts a glorious history of great league, cup and European games and names through the decades, with a tinge of sadness. 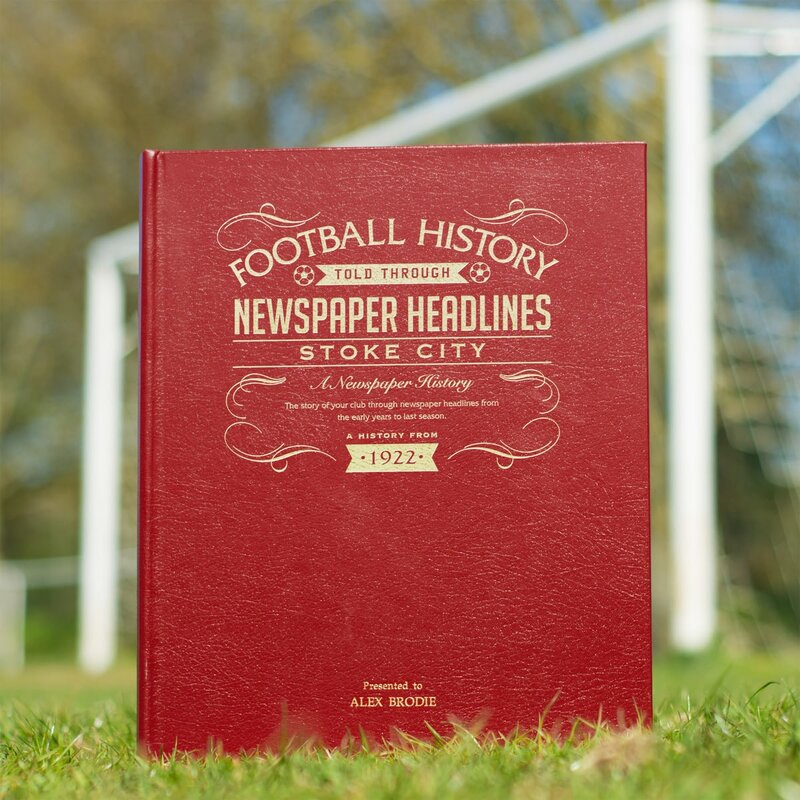 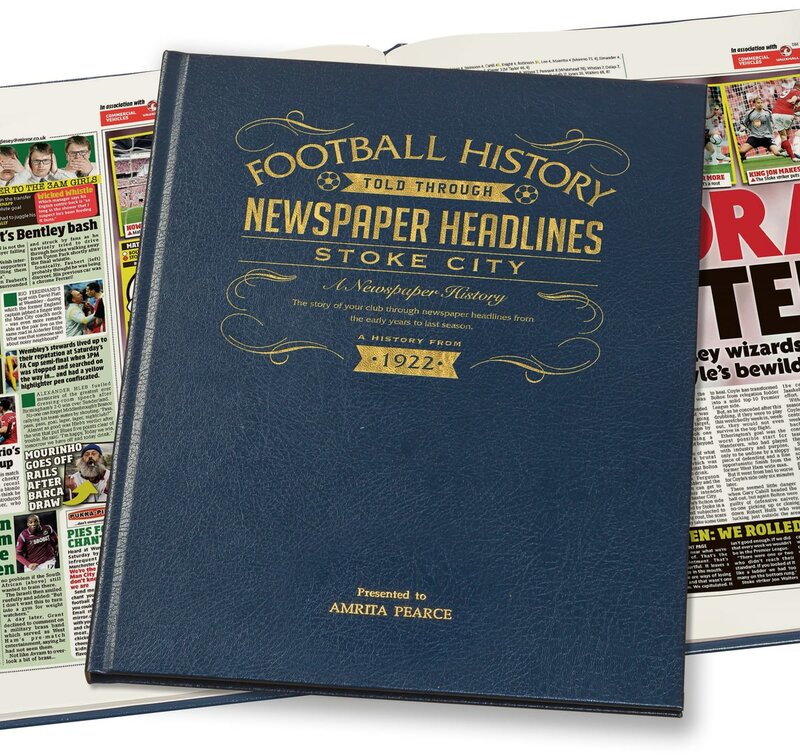 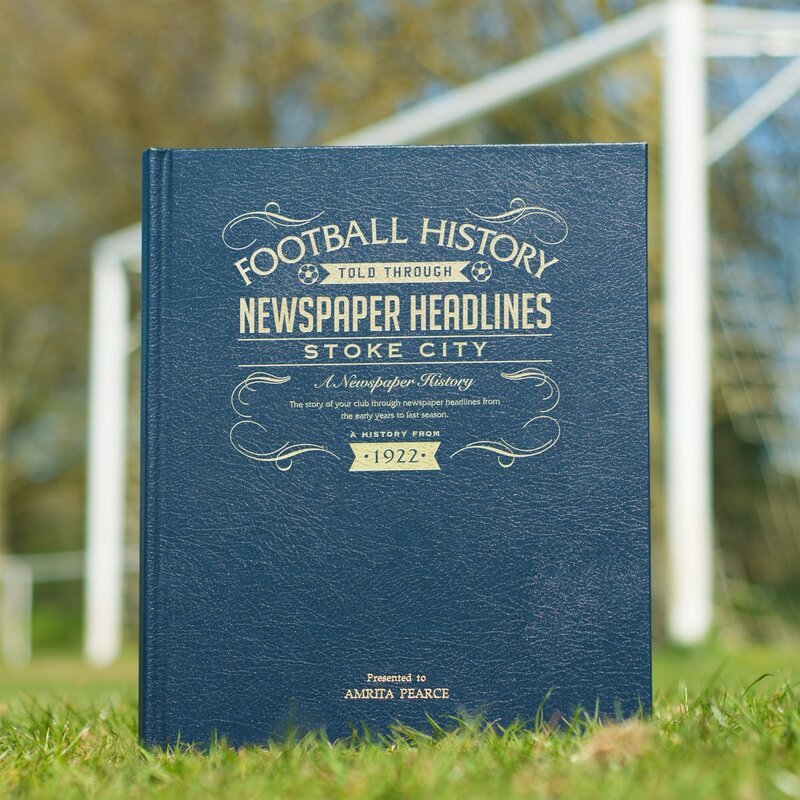 Top stories include high scoring games of the 1930s, the 0-0 cup tie at Bolton where tragically 38 fans were killed, the days of Stanley Matthews, Peter Shilton joins Stoke for a record fee and Stoke beat Arsenal, West Ham and Bolton (5-0) to reach FA Cup final in 2011. 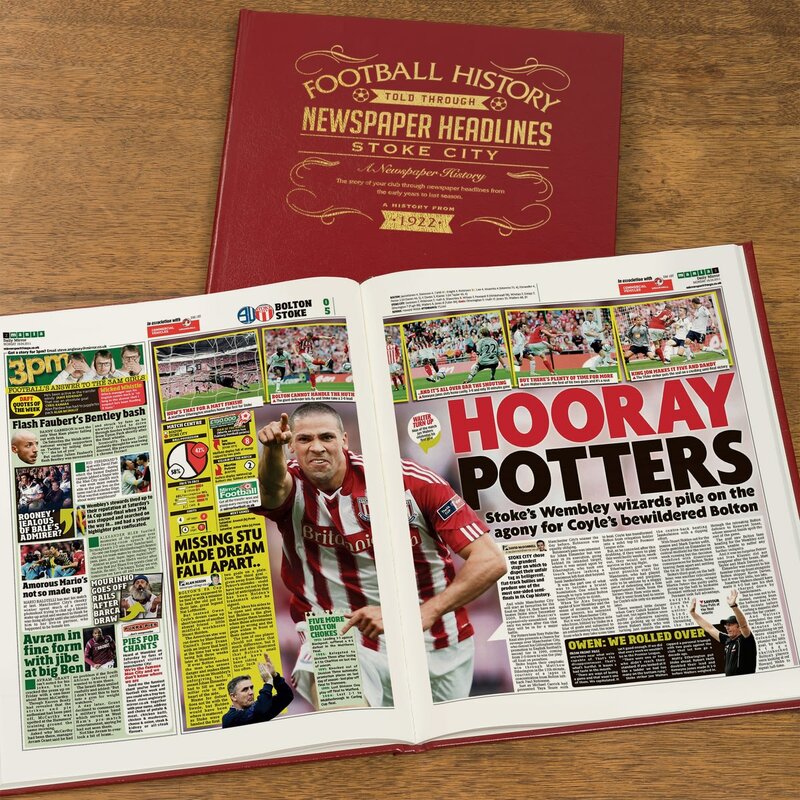 Newspaper coverage continues right up to the end of last season. This is a unique and wonderful gift and a must have for all Stoke fans. 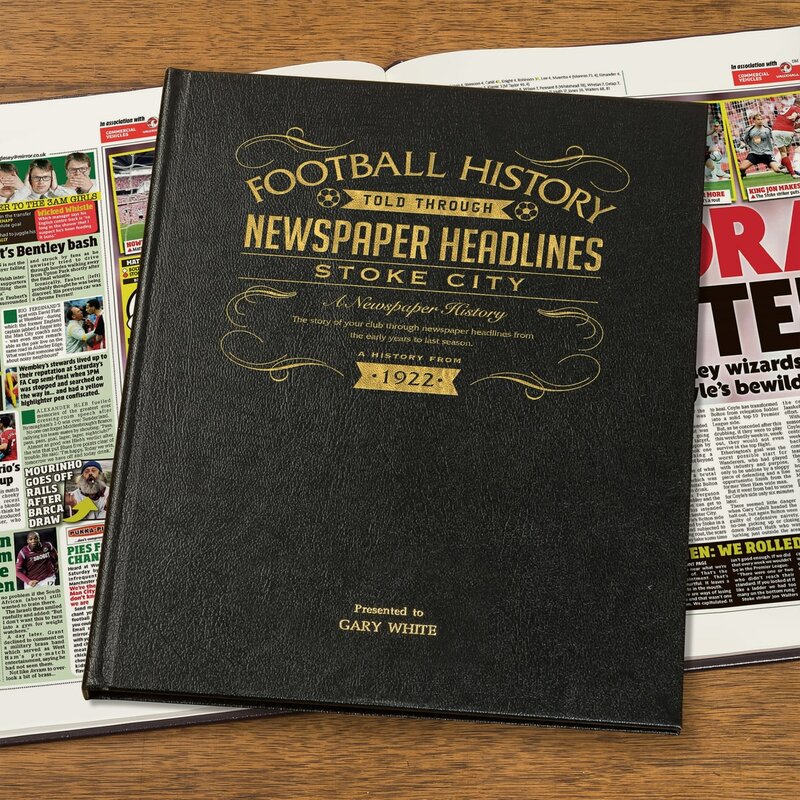 Capture the history and greatest moments of Queens Park Rangers football club through newspapers written at the time. 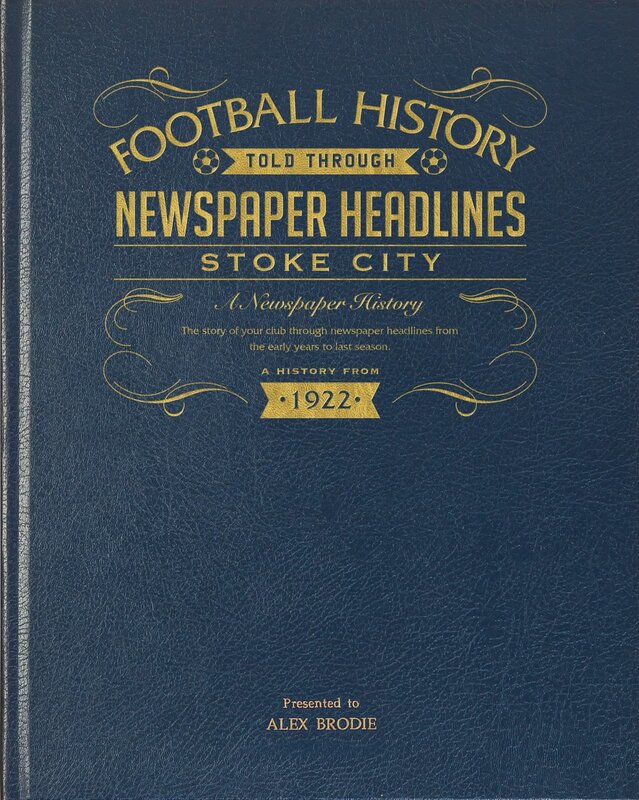 Capture the history and greatest moments of West Bromwich Albion football club through newspapers written at the time. 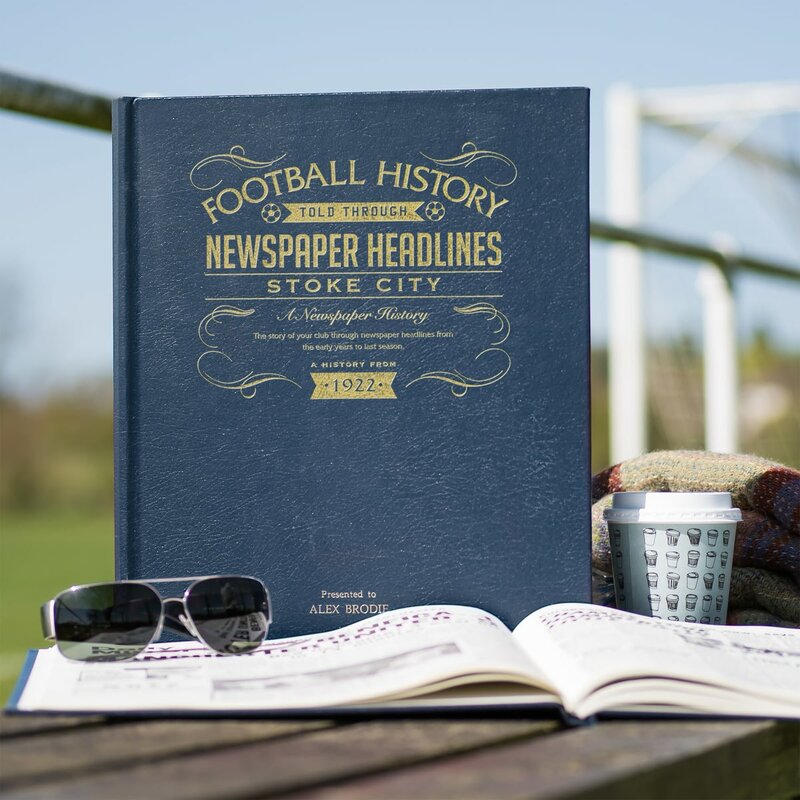 Capture the history and greatest moments of Birmingham City FC through newspaper articles written at the time. Capture the history and greatest moments of Bristol City football club through newspaper articles written at the time. Capture the history and greatest moments of Cardiff City football club through newspaper articles written at the time. 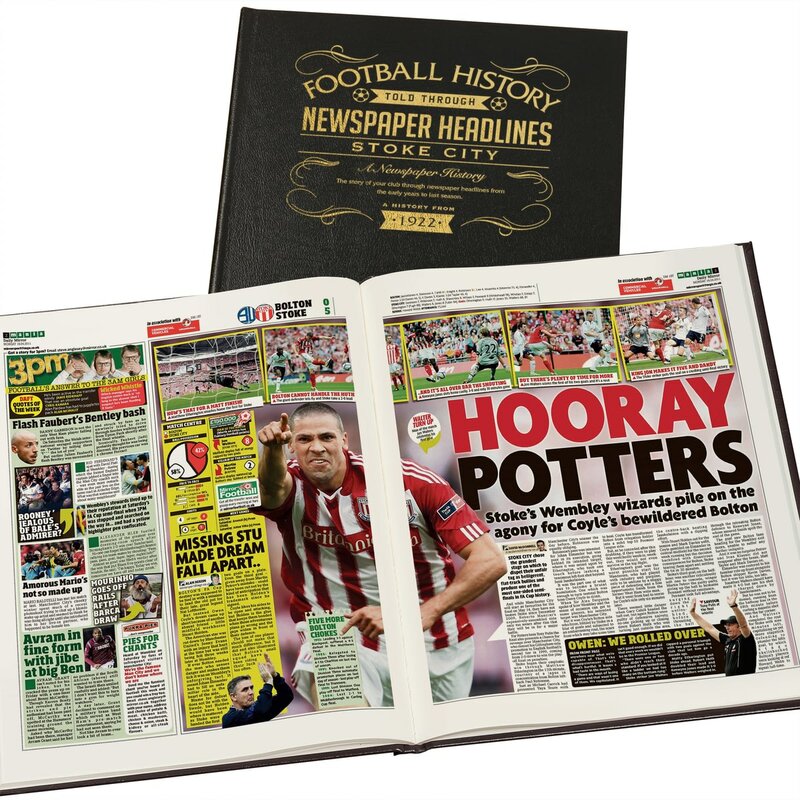 Capture the history and greatest moments of Coventry City football club through newspapers written at the time. 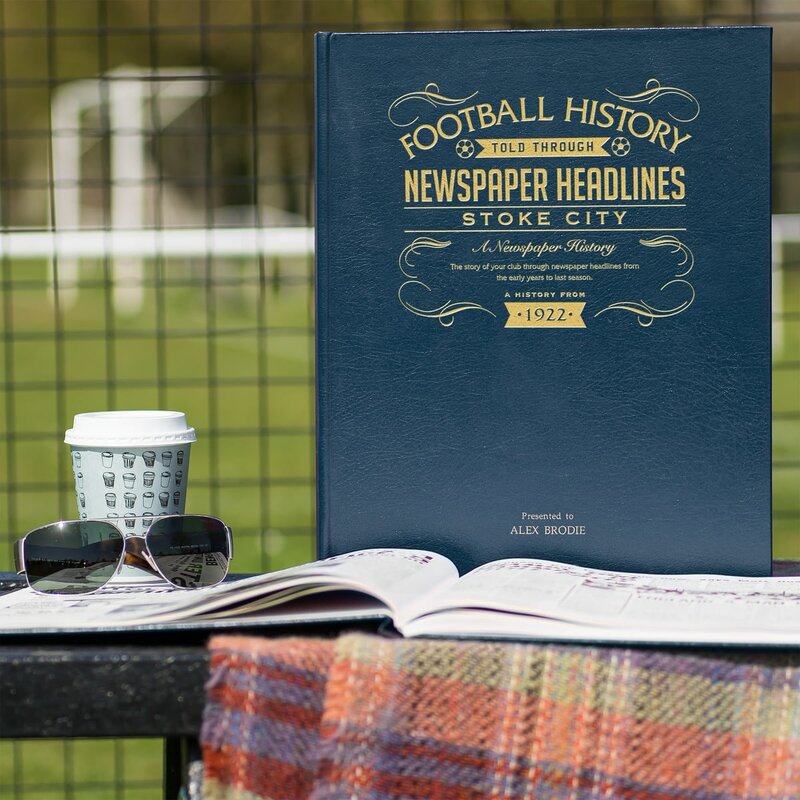 Capture the history and greatest moments of Manchester City football club through newspapers written at the time.